OPIE is dedicated for optics/photonics with large scale of over 370 exhibitors who take significant and outstanding roles in their relevant fields. 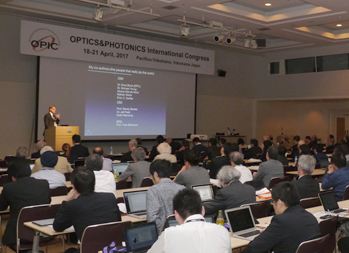 All the exhibitors take significant role in photonics industry. No parallel-exhibition in other fields will be held with this show. All the visitors in OPIE have sole objective to see “photonics”. OPIE is the only trade show/exhibition that is dedicated for photonics and has maintained the scale of near-400 exhibitors or even increasing every year. For mobilization of visitors, we, The Optronics Co., Ltd. have added new implementations every year, for example this year, public announcement using partnerships with various media, utilization of SNS, individual promotion emails taking the past visitor’s history and profiles into account, extensive e-mail promotion through our network etc. As technologies in photonics are always moving advance. Visitors are very keen to have fresh and up-to-date information for the research activities happing in major company/university in North America/ Europe and new comers in Asian countries. We will introduce “Online Expo” to help the exhibitors promote their product after OPIE closes. The information of the exhibitors on the OPIE web page will be on “OnLine Expo”(= virtual exhibition on the Web) and it will continue to help the promotion of the exhibitor’s products for a half year. If you try to find new persons in your company, we will advertise it on OPIE web page. It will be catchy for the visitors. 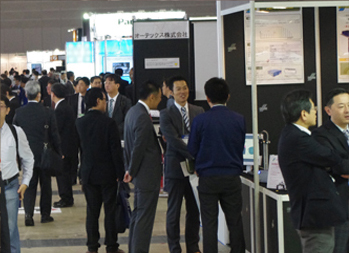 It was easier to find relevant exhibitors thanking to photonics-dedicated trade show. I could visit all the exhibitors and people who I wanted to see and discuss here. It covered from development, design, production, its application for optics and photonics. I can expect the trend of photonics in this year after looking through the exhibition. Academic conferences/poster sessions were located in the same area and it helped me to see both of them. As for laser related products, this exhibition has been more comprehensive and perspective. Every exhibitor belonged to photonics industry and very friendly to discuss the issue concerned.